Frida Kahlo and her friend, the muralist Lucienne Bloch, played Exquisite Corpse in the 1930s, developing peculiar portraits of both Frida and Diego Riviera. Most literary and artistic artistic collaborations are not so blind, but the results are almost always just as accidental — and occasionally profound. Towards the end of 2017, the Museum of Modern Art in New York City mounted a retrospective of Stephen Shore photographs . Shore is 70 now and has been selling to MOMA since he was a teen in the 1960s. A chronicler of the quotidien, Shore, in the words of the New York Times, “single-handedly created a visual vocabulary that defines the iconography of America.” To celebrate the opening of the show, the Times commissioned four American short story writers — Danzy Senna, Charles Yu, Joy Williams, and Yiyun Li — to create fiction inspired by four of Shore’s most iconic photographs. One might think that such an assignment risks turning the images — fully fledged art in their own right — into illustrations, but no. As you read the stories, the photographs take on a new dimension, provoking the liberating realization that endless stories might grow from what is fixed within each frame. The Chronicles of Harris Burdick by Chris Van Allsburg plays with words and pictures in a somewhat different way. 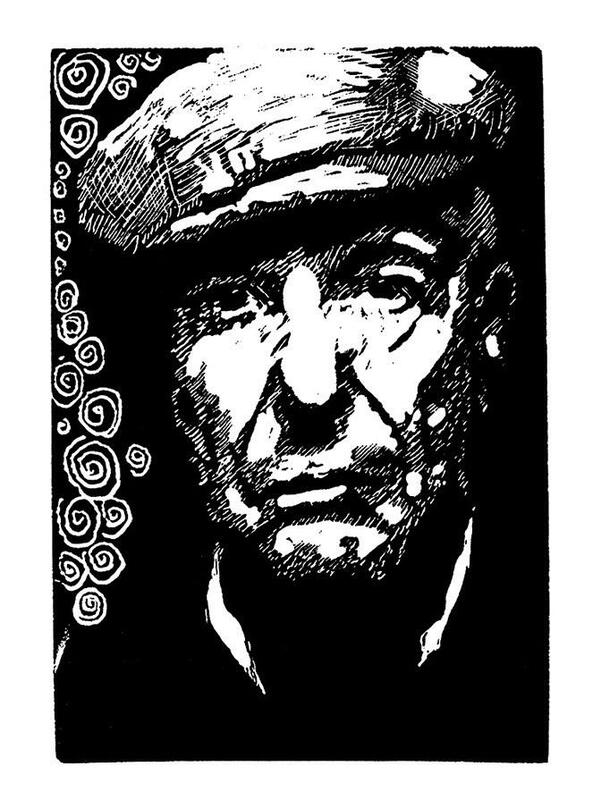 Published in 1984, the book contained fourteen drawings, each with a caption that suggested the images were part of a larger story. Over the years, readers have sent Van Allsburg their notion of what the connecting story might be, becoming, in effect, unintended collaborators. 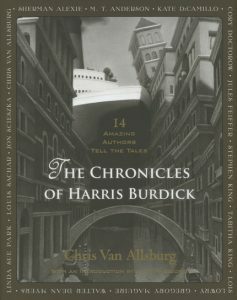 Then, in 2011, Van Allsburg (famous for such award-winning children’ books as The Polar Express) reissued Chronicles with the subtitle 14 Amazing Authors Tell the Tales, in which the images are paired with the stories of chosen collaborators such as Stephen King. A few years ago, an artist friend of mine was teaching a beginner drawing class to older adults. No matter what she tried, she couldn’t seem to get her students to loosen up, to skate their pencils margin-to-margin across the page. At the time, she was reading my novel The Holding and she decided to take it to class. As the people drew, she read aloud. 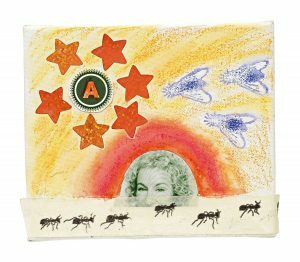 Before long, she noticed that their muscles had loosened, their drawings expanded, dozen of images flowing from a single packet of words. Some writers, not content with creating only in words, collaborate with themselves. When I first met Teju Cole, he had just lost his camera. I knew him as a writer, the author of the highly original novel Open City; I didn’t realize he was also a photographer, and that losing his camera was the equivalent of me mashing my fingers in the car door. 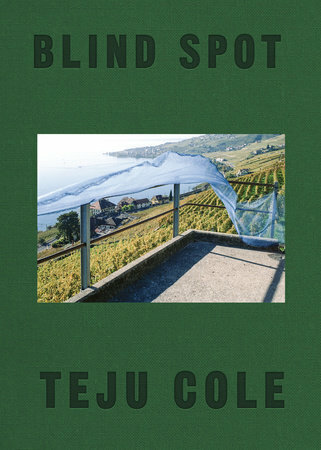 Last year, Teju combined his photographic and literary obsessions in Blind Spot, a gorgeous book of 150 colour photographs, each accompanied by a piece of short, lyrical prose in the ‘radical minimalist’ style he has perfected. Both the words and the pictures evoke the places he has travelled, from Berlin to Lagos, to Capri, to Brooklyn. The title comes from an affliction he suffered a few years ago called Big Blind Spot Syndrome, a temporary blindness in one eye that led him to see the world differently. I have two writer friends, both well-known successful Canadian novelists, who have recently taken up pencil and brush. One writes historical fiction: she is painting birds of prey. The other is painting twigs. When they speak about their paintings, it is clear that, like Teju Cole, they are excited by the strangeness, the “other-ness” of this new medium. They have no idea where the new passion will lead, no expectation of the images ever showing up in a book. In some ways, the images are themselves a respite from writing words. 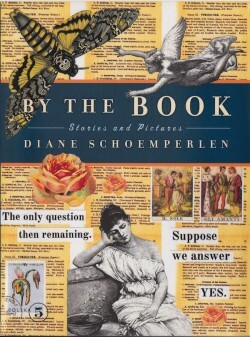 The short story writer Diane Schoemperlen has for many years produced collages that found their way into her short fiction in Forms of Devotion and in 2014 became a book on their own, By the Book: Stories & Pictures. Why aren’t words enough for a writer? 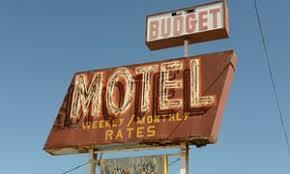 I remember happening upon the Hotel La Fonda in Taos, New Mexico. There was a sign on the counter of the registration desk: See the Forbidden Art of D.H. Lawrence. We paid our few dollars and followed a sullen teenager to the hotel dining-room where one wall was covered with a gold curtain. He pulled the curtain open to reveal nine oil paintings remarkable for their ribald revelry. 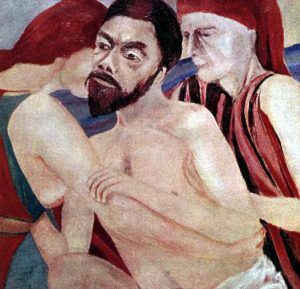 The paintings had been confiscated by police in 1929 from a London gallery, just a year after his novel, Lady Chatterley’s Lover was suppressed. Some may see picture books as stepping stones to more sophisticated stories free of images, but children’s book artist Wally Edwards has taught me otherwise. 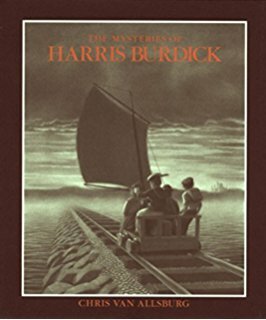 His latest book Woodrow at Sea is a “wordless book.” Adults, he says, enjoy it as much as children because the images, freed from the guidance and explication of text, stimulate thinking and imagination in a way that a story fully fleshed in words cannot. 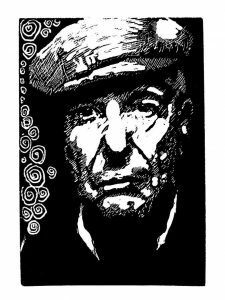 Master wood engraver George Walker has produced a trio of sophisticated wordless books, visual biographies of Leonard Cohen, Pierre Elliot Trudeau, and Conrad Black, as well as a dozen other wordless books. 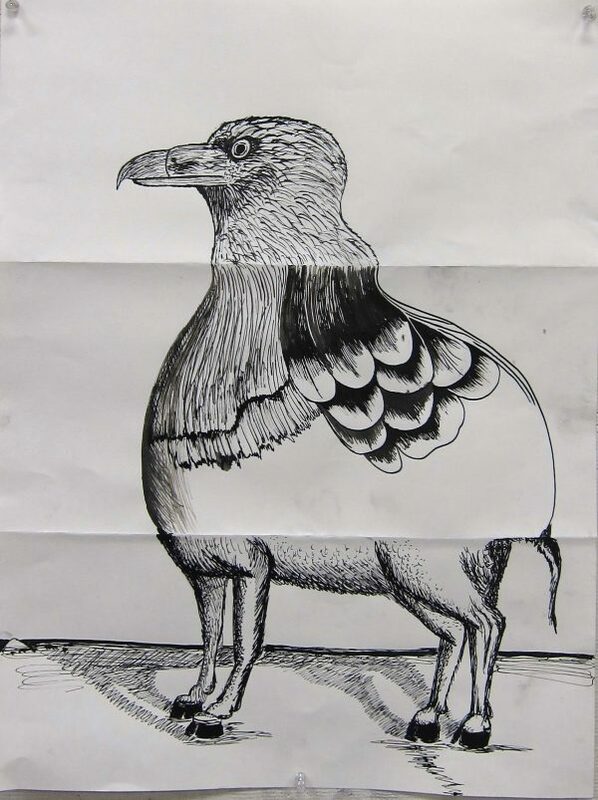 Which Comes First, the Image or the Word? All of this leads me to wonder: how do I conceive a story? Often, the words I write are provoked by pictures in my mind: the words themselves are simply building blocks that I hope will spark similar pictures in the reader’s mind. When I am reading The Handmaid’s Tale, for instance, am I imagining the colour of Offred’s dress, the shape of her face, based on Margaret Atwood’s words? Or am I drawing on images already circulating in my mind, drawn from television, from people, from places I’ve seen? Either way, the act of reading becomes a kind of collaboration between writer and reader, with the book as intermediary — an object that each is deeply invested in, although almost certainly each is reading a somewhat different story that is unique to them. This summer, Margaret Atwood, whose sketches have graced more than a few of her books, was commissioned to produce an author portrait for Imago Mundi, part of a show of 20,000 works of art created in 140 countries and shown at Fondazione Benetton Saudi Richerche. While he writes, I feel as if he is drawing me; or not drawing me, drawing on me — drawing on my skin — not with the pencil he is using, but with an old-fashioned goose pen, and not with the quill end but with the feather end. As if hundreds of butterflies have settled all over my face, and are softly opening and closing their wings. 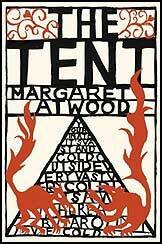 How do you experience the books you read — as words or images? Next article Where do Books Come From? Always images. Sometimes I resist, vehemently, the advent of VR and augmented reality. Then on some level, I have to admit reading has always been VR for me. That said. I still resist VR.